The Rock, Paper, Scissors tournament had hotted up. #8 PGA Tour Golf - The first and original proper golf simulation in my book. The interface was genius in it's simplicity but difficulty to master, it's a system that many golf games used in various incarnations. The visuals were great for the time in a surreal way, and it had currant golfers tips on courses, flybys and a pro-shop to customise your bag. All future golf games owed this a dept of gratitude for me. #7 NBA Jam - Full motion video on the SNES?! Oh yes, my mate who bought this before me was bouncing off the walls with excitement over this. But, in actuality this was merely 2 minimal frame rate vids; the real winning aspect of this game was the general madness of the play. It was quick and frantic, and was vastly amusing with the flaming hoops and outrageous slam dunks. Current NBA stars were included on the roster to add an even more authentic feel. Basketball is always more fun to watch, but this made it fun to play too. #6 FIFA Football 2003 - The FIFA football series has been running since the early nineties and I have enjoyed many of these versions over the years. Every year a new version gets churned out, but 2003 stood out because of the change in the dynamics of the gameplay, the enhanced faces of the footballers and the large team roster. Later releases have been good but samey, so I hark back to this as my favourite footy game. I did immensely enjoy the previous top-downs such as Kick-Off and Sensible Soccer, but the depth this gave was captivating, becoming a more real simulation in the process. Seconds later, any hopes on having children were dashed. 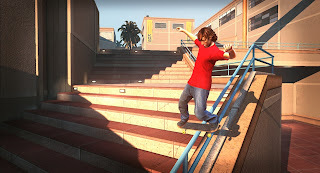 #5 Tony Hawks Pro 3 - I had an interest in skateboarding as the kid, getting the personalised board, expensive trucks and so on, but I soon discovered I was utterly useless at it. Skateboarding games in the early days did not give much a sense of realism, until the Tony Hawks series; the third installment being the best by far. Beautiful depiction, crammed full of crazy tricks and courses, and with a lasting appeal, 3 was the magic number with this. #4 WWE Smackdown! : Shut Your Mouth - Pro-Wrestling games took a turn for the good with the release of WWF Smackdown! in 1999, and from then on went from strength to strength. For me, the series reached a high-point with this, the fourth entry to the franchise. The sequel was also of high-quality, but this was this one I played the most and became hooked yet again on the world of choreographed fighting and zany plot-lines It had all you needed to create your own roster of grapplers and included all the popular superstars of the time. It's control systems was better and the presentation was all round championship winning. Today's versions are good, especially in the visuals, but don't better this for all round brilliance. #3 Tiger Woods PGA Tour 2005 - Yet another bandwagon of EA releases sold in the name of one of the most revered golfers to grace the game, this installment made me take notice due to the sheer ease of playability and satisfaction of shot-making. The courses were detailed, the flow was impeccable and the assisting soundtrack was top drawer. The season mode too was enjoyable, the live calender was clever and the create mode was fun. The best golf game on the PS2. But Luke, I AM your father! 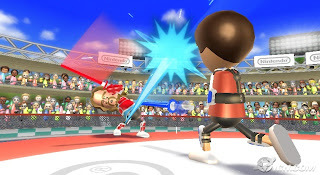 #1 Wii Sports Resort - Taking into account the sometimes sluggish responses of the Wii controller at times, this for me is still one of the best sports party games ever. It has the ability to really engage the players, get them off their tubby behinds and move about a bit, making for a really enthralling and competitive session of gaming. With functional but fun graphics, simple direction, friendly controls and loads of sports to select from, it's the choice of party game for the family that loves their sports. Top stuff! I was never a sports follower or lover. But recently been trying out with my bro. I've not played any of these, but they sound awesome. I glued to the Buffalo Sabres and I got a new set of golf clubs for Christmas, love baseball, football and more...good post. Charge! on Wii play. Racing yarn cows while running down scarecrows? Great Fun! And, G-Mac smokes Tiger on the Louisiana tour--my average is much better virtually than in reality. Will have to check out some of the other games. IF you like racing games, read my D entry. :) Thanks for popping by. I haven't played WWE Shut Your Mouth, but I have Smackdown vs Raw 2006. I love it! Visiting from the A to Z Blog Challenge. Enjoy the 2nd week. I don't play a lot of games online but we did have a Wii for a while and it was fun. 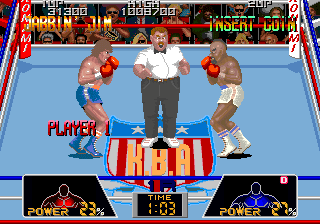 When I was a kid I used to play Mike Tyson's Punch Out all the time. Loved it. The Warrior Muse said you needed some love, so I popped on by ..
Not a gamer, but my son sure is! Great list I have always liked simpler sports games. More like Wii Golf, than like Madden Football. Wii Sports Resort is great fun, but I've found I can play laying down on the sofa, with only a modicum of movement :) Not entirely the spirit of the game. Ha, yes, some of the event can be played like that such as the bowling. The archery and golf would be tricky though. :) Thanks for popping by. I'm not into watching sports, but I'm with you on the Wii sports games. They feel much more engaging than other sports games. The others are too much like just watching sports.